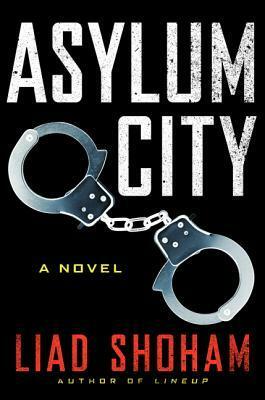 Asylum City is an Israeli crime novel from Liad Shoham, translated from the original Hebrew by Sara Kitai. Liad Shoham is an Israeli writer and lawyer. Shoham was born on 31, December 1931 in Peta Tivka, Israel. He is Israel’s leader thriller writer. dubbed the Israeli John Grisham. The scenario is that, at any given time there are tens of thousands of “asylum seekers” in Tel Aviv, Israel from the northeast African nation of Eritrea. They cannot be sent home because the regime there is so brutal that they would be killed the minute they set foot back in their homeland. And so the Israeli government, the migrant aid organizations, and the legal community are all involved in a convoluted, slow-motion dance to keep these refugees off the streets as much as possible, fed and sheltered, and then sent to another country whenever practical. So, when an ardent young activist working with the city’s Office of Migrant Aid is found murdered in her own apartment, attention is focused first on an African immigrant, then a state attorney, and then finally organized crime. Since her boss is out of the country and then breaks his leg, the case is reluctantly given to petite investigator Anat Nachmias in her first murder investigation. Asylum City is Shoham’s tenth novel, although only the second to be translated into English (Lineup was the first), and he does a superb job of keeping the action moving. He generally writes in short sentences and uses short chapters, usually two or three pages on average, although both the sentences and the chapters get shorter as the story progresses and the action comes to a head. All of the characters are very believable, especially Anat, who goes through so much to get to the bottom of this crime. Do not miss Asylum City!